Crock Pot Cheesy Potatoes and Smoked Sausage - Recipes That Crock! Do you love cheesy potatoes? 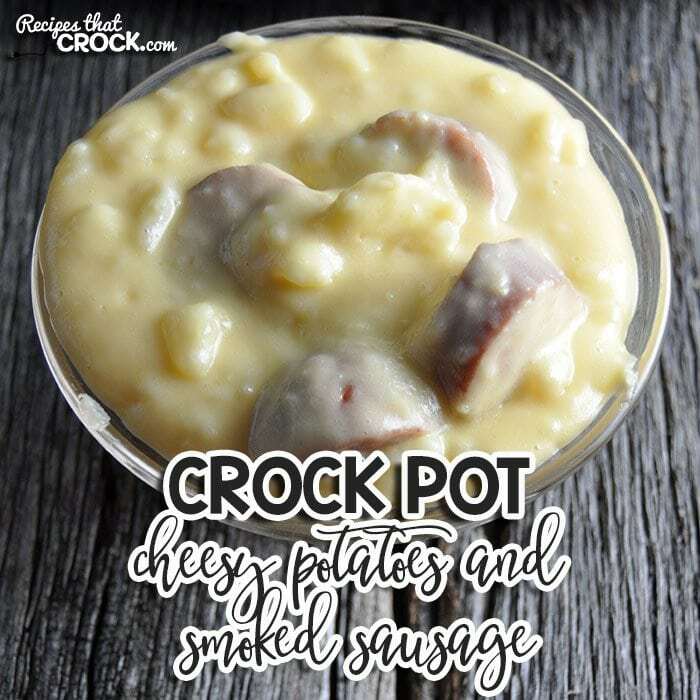 Take them to the next level with this yummy Crock Pot Cheesy Potatoes and Smoked Sausage recipe! Aunt Lou here…aka the Potato Queen! Together we came up with the idea to add in some smoked sausage! We love smoked sausage in Cris’ mac ‘n cheese. So I thought I’d give it a try in these Crock Pot Cheesy Potatoes and Smoked Sausage. Can you say YUM?! If you want your potatoes to stay in bigger pieces, you can either pay better attention to them when you are boiling them than I did (I may have left them on a bit too long so they broke apart more than they should have, but they still tasted great!) or you can make your potato slices thicker if you have short attention span like yours truly! If you like super cheesy potatoes, feel free to use a little extra cheese. IMHO, there is no such thing as too much cheese! This feeds a crowd, so if you need fewer servings, feel free to cut this recipe in half and use a smaller crock pot. 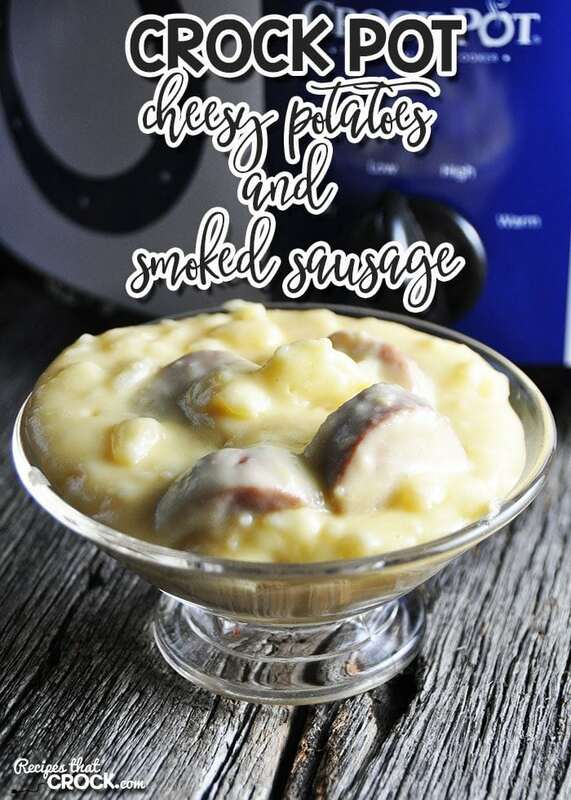 These Crock Pot Cheesy Potatoes and Smoked Sausage are loosely based off of two of our favorite recipes, Crock Pot Cheesy Potatoes and Crock Pot Smoked Sausage Mac 'n Cheese and are sure to be a family favorite! As with all our recipes, nutritional information, including calories, varies depending on the exact ingredients you choose to use. OMG ?That was Delicious!! I added Liquid smoke to it ❤️ And it was a Big Hit in our house The Crock Pot was emptied !! So glad you enjoyed it Kim! 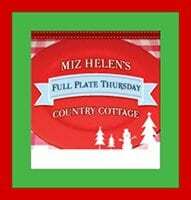 Thanks so much for sharing this awesome Breakfast with us at Full Plate Thursday. Have a great week and best wishes for 2017! I love potatoes! Always looking for new recipes on how to prepare them! Thanks for this new recipe and you can bet I am going to give it a try! Love all of the yummy recipes you send my way!!! Looks delicious Aunt Lou! When you gonna make me some?